Selected by NHS England as a ‘digital exemplar’, West Suffolk NHS Foundation Trust (WSFT) look to make radical improvements in patient care through innovative use of technology. The Trust recognised that its clinicians were spending too much time battling with lengthy log-in procedures losing valuable time caring for patients. As such, it wanted to streamline workflows, especially in ED where minutes or even seconds can make a real difference. West Suffolk NHS Foundation Trust (WSFT) provides hospital and community health services to the 275,000 population of West Suffolk. This includes the 430 bed West Suffolk Hospital where services include: Accident and Emergency, Surgery, Medicine, Cardiology, Oncology and Women’s and Children’s services including maternity. The Trust vision is for its workforce of almost 4000 staff to deliver the best quality and safest care for its patients, as recognised recently by the CQC which rated WSFT as ‘Outstanding’. The Trust wanted to streamline EPR system access - particularly in the ED and AMU departments - to free up vital clinician time. A ‘Tap-and-Go’ solution improves governance and increases clinical efficiency reducing log-in times by more than 75%. In May 2016, West Suffolk replaced it’s near 20-year old PAS (patient administration system) with Cerner’s Millennium EPR (electronic patient records system), known locally as e-Care – or FirstNet within the ED department. Whilst the introduction of e-Care already brought huge benefits to the Trust, WSFT were keen to optimise the technology to further benefit patient care. The Trust knew that access to e-Care could be more efficient – particularly in its Emergency Department (ED) where clinicians frequently switch workstations and access multiple applications. Each workstation and application requires its own log-in credentials and password, so clinicians were finding that sign-on procedures were often being repeated. This repetitive authentication process was using up vital clinician time – time that could be better spent on patient care. It also created a significant governance issue. The time-consuming nature of logging in and out left a temptation for workarounds – users may have been inclined to share credentials and / or leave Cerner logged in. The Trust recognised that it needed to tighten up security and find a solution which was more secure, but also fast and simple. The Tap-and-go implementation has been very helpful in our busy Emergency Department, enabling ED clinicians to move from one workstation to another. It has greatly improved log in times, enabling clinicians to have more time for patient care. West Suffolk turned to ITHealth with whom they had an existing relationship and had come to trust on NHS IT security matters. To enable clinicians to be more agile in their workstation-switching / session roaming environment, ITHealth proposed a fully managed follow-me desktop solution – using a ‘tapand-go’ method leveraging the WSFT staff ID badges. A solution otherwise known as ‘FLOW’. A key feature of FLOW is the ability for virtual desktop infrastructure (VDI) to maintain a ‘live’ desktop. The virtual desktop is hosted centrally and includes keeping the user’s connection to Cerner using session persistence. FLOW effectively enables a clinician to use their ID badge to ‘tap in’ to a session on a workstation, view relevant record/s and then ‘tap out’, leaving that workstation free for the next user. When the clinician next ‘taps in’ on another FLOW enabled machine, the session is retained exactly as they had left it, allowing the clinician to swiftly carry on with their work, massively reducing log-in time. ITHealth implemented both Pivot3 and Imprivata technologies to deliver the solution. Pivot3’s hyper-converged infrastructure (HCI) provided the high speed back-end for VDI and Imprivata’s OneSign technology allowed a single point of authentication – clinicians were only required to authenticate at the start of a shift, eliminating the need to remember or enter multiple application usernames and passwords. Initial implementation of FLOW was agreed for West Suffolk’s ED and AMU (Acute Medical Unit) departments covering approximately 200 registered users. Tap-and-go has been well received by the ward staff. It has greatly improved patient confidentiality and allows clinicians to swiftly move from one workstation to another without having to search for the patient again and reload the patient information. The resounding feedback from West Suffolk clinicians on the FLOW solution is that they ‘love it’. The ‘tap-and-go’ process has dramatically streamlined workflows, increasing productivity and providing huge time-savings. Over 30 days a clinician logged-in on average 450 times – a total of 4.5 hours logging-in time. With tap-and-go, time spent logging in reduced to just 1 hour. 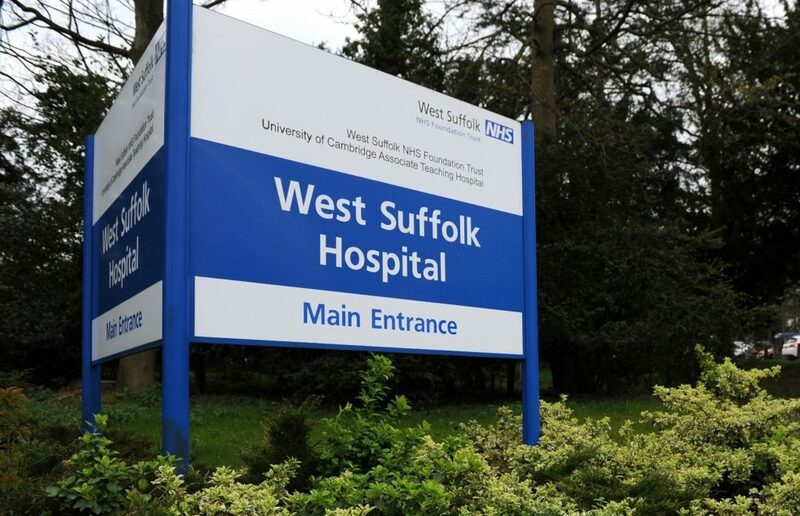 Following the success of the first stage of implementation, West Suffolk have already increased their user count to 300. This was a challenging technical project; however, the support from ITHealth was excellent and has led to a successful implementation.